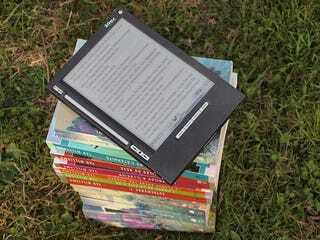 Why Do E-Books Cost What They Do? E-book pricing can seem mysterious. With some of the costs of paper publishing gone, does that mean that producing them is really cheaper? Or are there other hidden costs that get figured into the production of digital books? E-books and print books have most of the same fixed costs. By fixed costs, these are the expenses that the producer must incur in order to create their product. The fixed costs in publishing include, but are not limited to: editing, proofreading, employee salaries, building maintenance (i.e. rent on the office building, utilities, etc.). The publisher will incur these expenses no matter what, print or digital. The printing of a print book falls under the category of "variable costs." These are expenses that can always be trimmed when producing your product. The book can always be printed on cheaper paper. The author can always be given a smaller advance. If the company is facing financial difficulties, or if there are 11th hour fears that the product might not sell very well, than these are the expenses that can be reduced (even if they must be incurred to create a sell-able product). In short, because of fixed costs, e-books really aren't that much cheaper to produce than print books, despite the lack of printing costs. There are also a lot of other expenses that go into e-book production that a lot of people don't think about. The publisher will need to buy and maintain the servers which house the digital files. The publishing company will need to hire people to serve as tech support for their digital division. While these and other digital expenses tend not to equal to cost of printing a physical book, they are still expenses which need to be recouped.